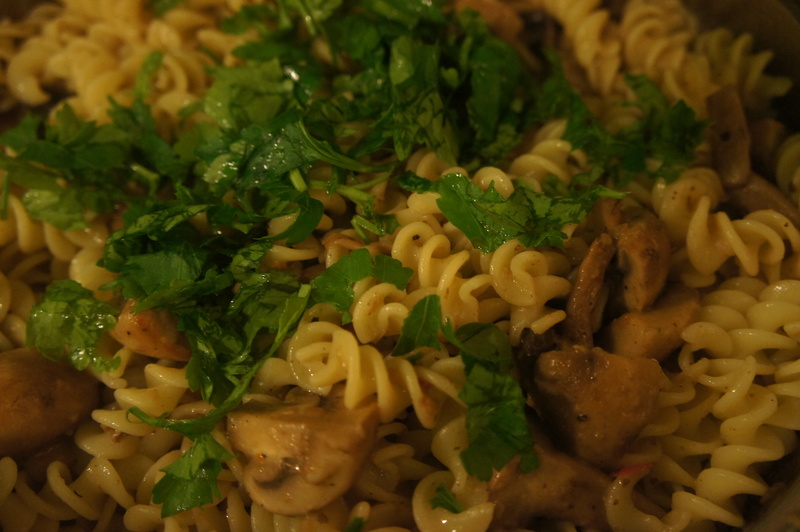 Mushroom pasta | Life's Conundrum - Eat to Live or Live to Eat? Posted on February 20, 2014 by Anna and Shiv	• This entry was posted in Quick meals, Recipes, Salads and tagged cup mushrooms, dry pasta, Garlic, mushrooms, Oregano, Pasta, red chilli, warm pasta dish. Bookmark the permalink.